The logistics coordinator at your church will send an email prior to THE WALK with the specific check-in time and locations. If you have any questions, please email us at insideout@woodstockcity.org. 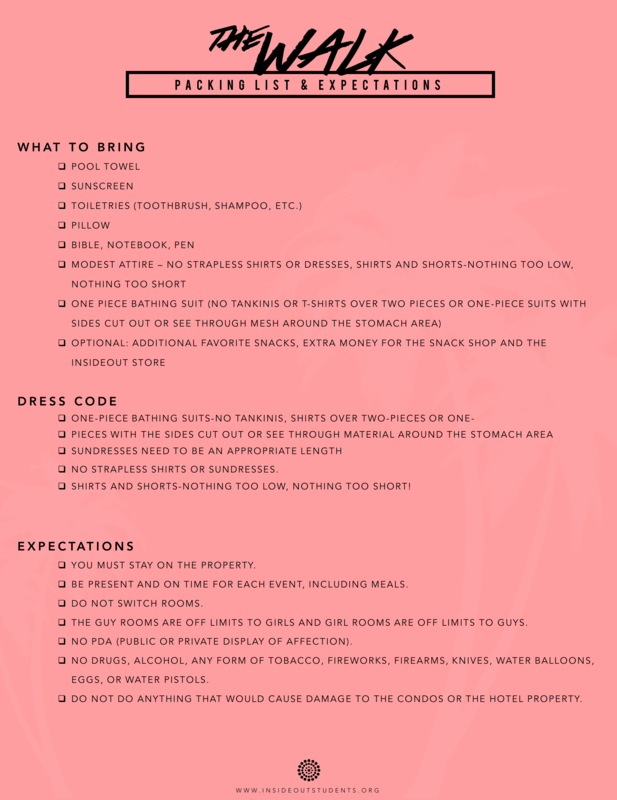 You can download the packing and expectations list soon so your student is prepared for the weekend! If you have any questions, please email us at insideout@woodstockcity.org.